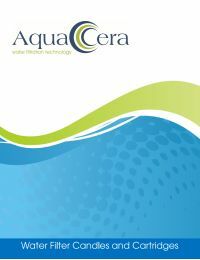 AquaCera W9512500 CeraUltra is a four stage ceramic filter cartridge combining the highly efficient filtration properties of ceramic with the enhanced water treatment properties of activated carbon and the heavy metal reduction capabilities of ion exchange media. Fits Doulton HCPS, HIP and HIS systems. First Stage: The first stage consists of AquaCera Cerasyl Ceramic which provides genuine sub micron filtration. The cartridge reduces fine particulate matter, bacteria, cysts and turbidity. Third Stage: An inner core of activated carbon block reduces chlorine, chloramines, and organic compounds.